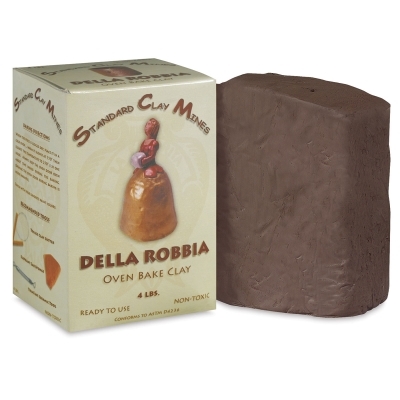 Della Robbia Oven Bake Clay has a deep rich brown color. It should be kept moist and pliable with water. Dry objects for several days before baking.  Della Robbia is a trademark.